Recently, THREE DOG NIGHT began adding new songs to its arsenal by releasing its first double-A sided single in nearly 25 years. The blistering performance of "Heart Of Blues" and the timely, beautiful a-cappella ballad "Prayer of the Children” are available online at iTunes, Amazon.com and other digital retailers as well as through the official band website (www.threedognight.com). exciting new orchestral arrangements to THREE DOG NIGHT’s signature sound. 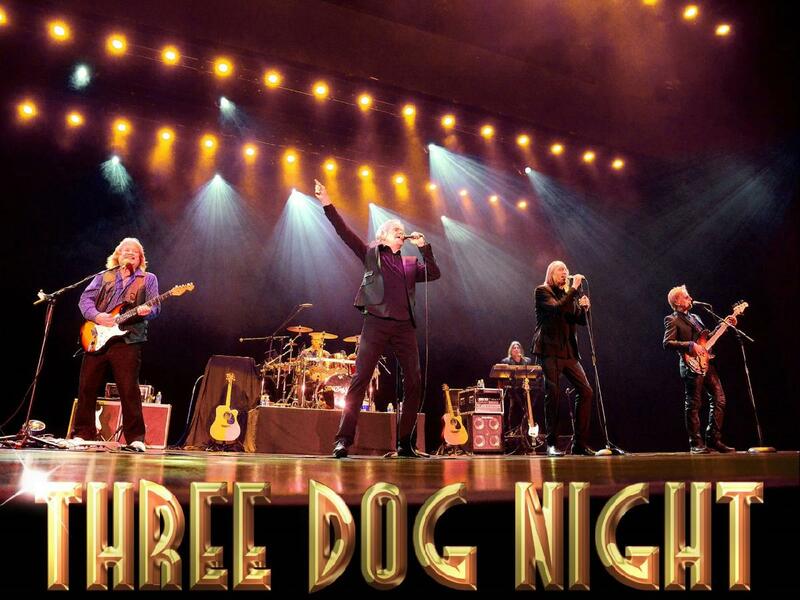 THREE DOG NIGHT maintains an aggressive, year-round touring schedule of over 70 dates a year. The hit filled concerts are performed for generation-spanning audiences by Danny Hutton (founder/lead vocalist) and Michael Allsup (guitar), Paul Kingery (bass/vocals), Pat Bautz (drums), Howard Laravea (keyboards) and David Morgan (vocals). The band’s now-famous name refers to native Australian hunters in the outback who huddled with their dogs for warmth on cold nights; the coldest being a “three dog night”. Canada, Holland, England, Germany, Spain and elsewhere. Tens of millions of THREE DOG NIGHT records have been sold through the years.